I would buy this bag again. I love the butterflys. I love the size, its great to carry stitching when I go to doctors and hospital. just great and very sturdy. This bag is very cute! Love all the room and lengthy handles. Looks really chic in a bohemian way. Not too stiff and not too flexible. And, this bag looks like it cost more than it actually did. Its tapestry and butterflys. 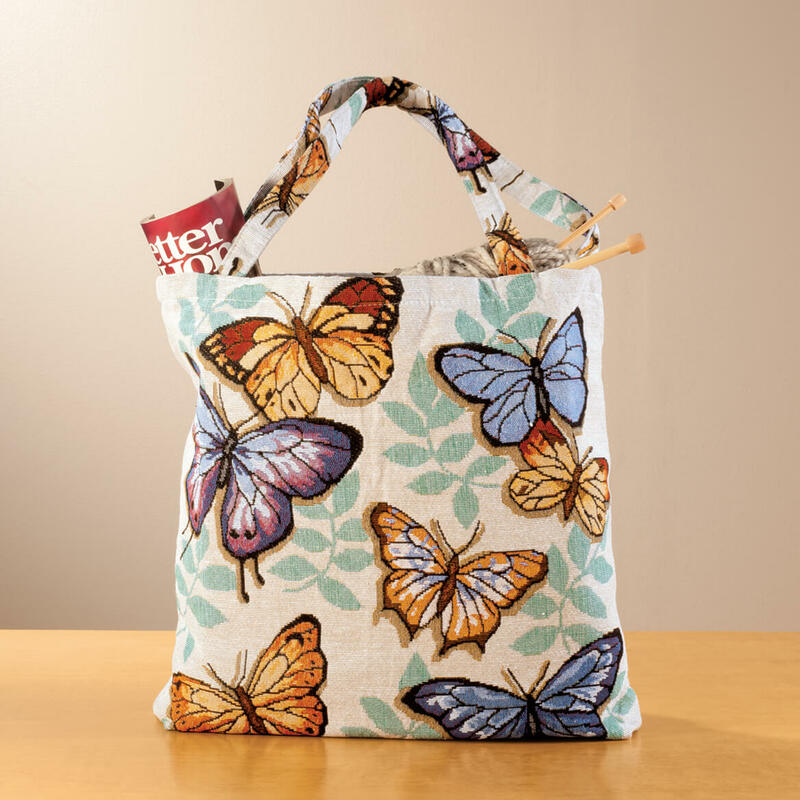 The size is large enough to carry yarn and supplies when I go to doctors and hospital. Lovely colors and very good price. A great bargain. Thank you. 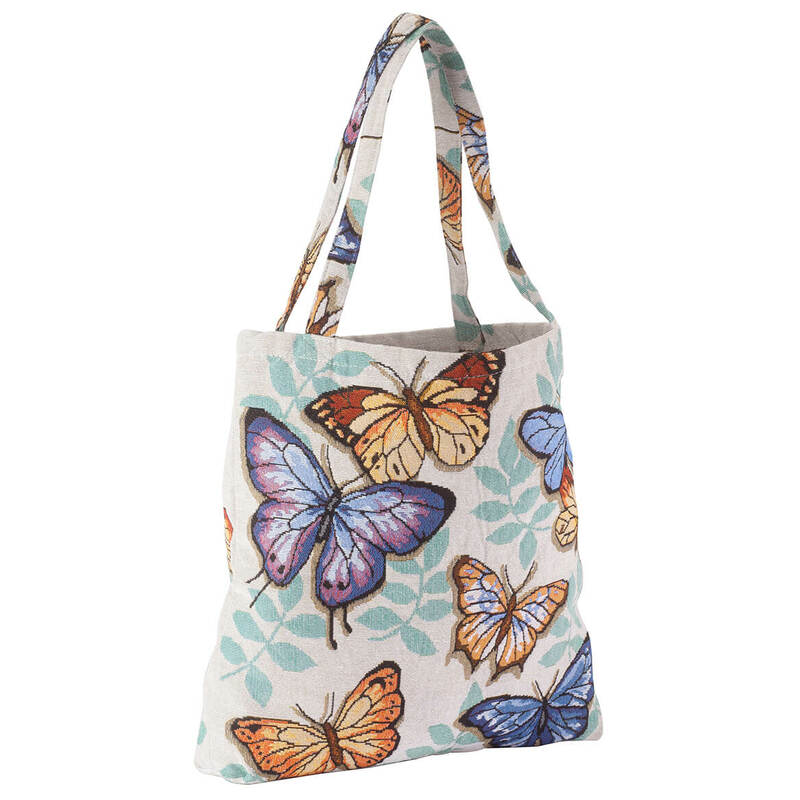 I love totes and butterflies.